What do BioShock, War of the Worlds, Dishonored, Panic! at the Disco, and Twenty Thousand Leagues Under the Sea all have in common? For all their differences and focuses and quirks, they are all unabashedly steampunk. America prides itself on its technology, traditions, and our constitutional freedom to be creative—to let our imaginations run wild. Steampunk is a subgenre of books and fashion that lets you do just that, so we're not surprised that Steampunk has seen a revival in popularity over the last few years. You might be thinking now (and we don't blame you): "What can I do to get into Steampunk?" Start at the roots. Check out the revolutionary sci-fi novels of writers like Jules Verne and H.G. Wells. Do some research on the technology of the day, as well as its Victorian-era fashion. Play the masterpiece that is BioShock. Once you've gotten a baseline for your ideas, accessorize with various mechanical props to add your own style! Look for plenty of novelty accessories like pocket watches, fancy hats, and rugged footwear. And you get bonus points for flamboyant facial hair! 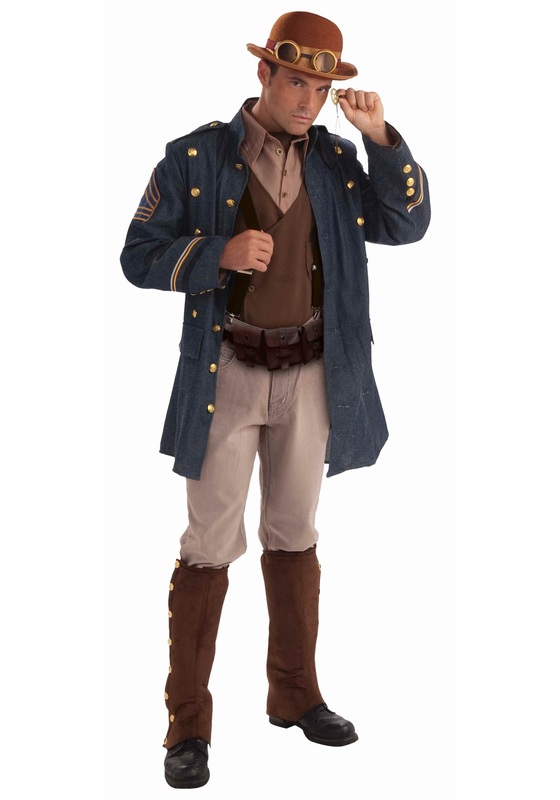 We have good news for you aspiring steampunk stars: we've got this great Steampunk General costume right here for you to jump the ranks and begin constructing your unique outfit. Steampunk is a great chance to dive headfirst into a revived and burgeoning creative movement, so don't miss out!